A new twist on some great Motown classics. 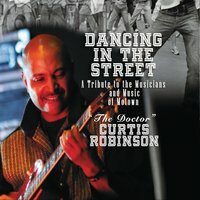 This CD is dedicated to The Funk Brothers of Motown who played on more NUMBER 1 HITS than the Beatles, Elvis, Stones and the Beach Boys combined . Yet, very few people know their names. They were some of Detroit's best Jazz and Blues musicians of their time. The Funk Brothers were the reason why everyone was on the dance floor before the 1st lyric was ever uttered. No matter who was singing. It was the instrumental music, groove and feel of the music that captured and held captive all who heard their innovations. Please enjoy , tell your friends and we'll all be Dancing In The Street.